Cuban Revolutionary Leader and Former President Fidel Castro died. Fidel Castro, former president and prime minister of Cuba, died on Saturday. Raul Castro, Cuban president and his brother announced his death message. 90 years Castro was going ill from long time. He leaved the president post voluntarily in 2008, but he was general secretary of Cuban communist party. 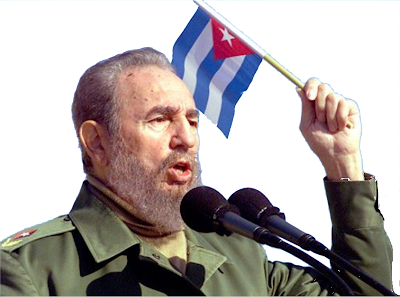 Castro had been prime minister from 1959 to December 1976, and then became president upto 2008. Fidel Castro was a revolutionary leader. His last rites will be performed on December 4. He was born in a rich family and awarded degree in law. While studying in Havana University he had begun his political life and became a renowned person in Cuban politics. He opposed the intervention of corporate companies and national interest of Cuba by the US and Fulgencio Batista in his political life. He was joined with intending, but limited supporter; and attracted the officers. He led a failed attempt to attack on Moncada Barrack in 1953, after which he was arrested; a trial case against him was framed; he was imprisoned and later he was acquitted. Castro came in rule after the overthrow through revolution Fulgencio Batista dictatorship supported by America and became Cuban prime minister. He became first secretary of Cuban communist party in 1965 and led to form one party socialist republic.